I had big plans for today. Even a list (I really like lists) of everything I had to get done to get ready for the weekend. I got thrown a few curveballs and ended up in the office putting out fires and had to put my list on hold. One of the things I had planned was a pedicure. I am not an overly vain person. I really like to have lipstick on in public but don’t mind running to the grocery store in a pony tail and whatever clothes I grabbed first. But it is Maundy Thursday and my priest is going to hold my feet in her hands. It makes me feel vulnerable. Like maybe the veneer of perfection will be cracked. 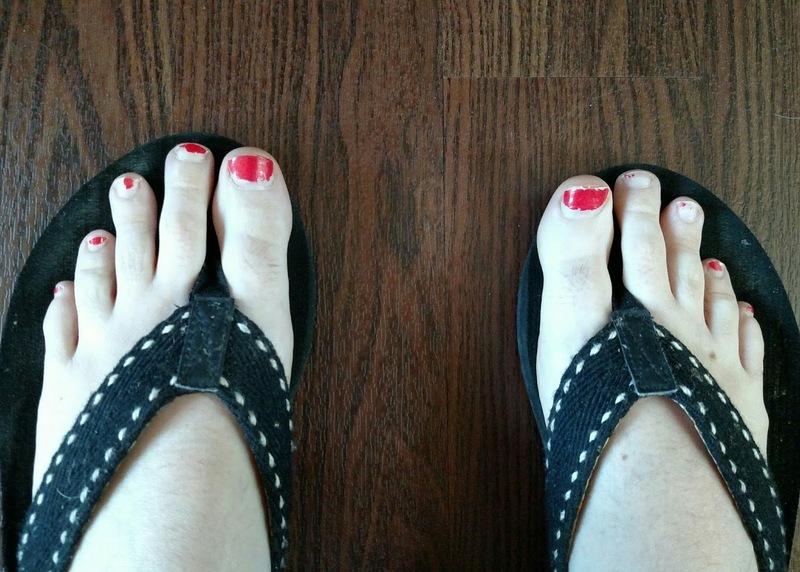 So tonight, I went with my kids to church with chipping nail polish and feeling a bit bedraggled. As the gospel was read, I connected more deeply than ever before. What must they have felt when Jesus asked to wash their feet? Disbelief, vulnerability, embarrassment, out of sorts? I was there. At least I had the luxury of knowing it was going to happen. My first vivid memory of Maundy Thursday was in middle school. Our parish hall was filled to the gills with our church family sharing a seder meal. The Christian Formation Director came up to me and asked if our priest could wash my feet after dinner in front of everyone. I was the oldest female in the room that wasn’t wearing stockings. It was the early 90s, but it was still an Episcopal church in a small, Southern town so we had some standards. For a shy, awkward preteen, this wasn’t an easy thing for me but I remember how important it was to me. I was honored to be asked to represent the whole group but am sure I had red cheeks the whole time. Tonight brought me back to those memories but it was different. My son asked not to have his feet washed but I invited him to walk up with me so he could see what was happening. As we got closer, he got curious and said “I think I want to try.” I was very proud to see my own shy child sit in that big chair in front of our priest. Being a 7 year old, he immediately knocked over the bowl and spilled water across the floor but everyone said “that’s okay” and continued like it hadn’t happened. They didn’t embarrass him but let him know he belonged there. 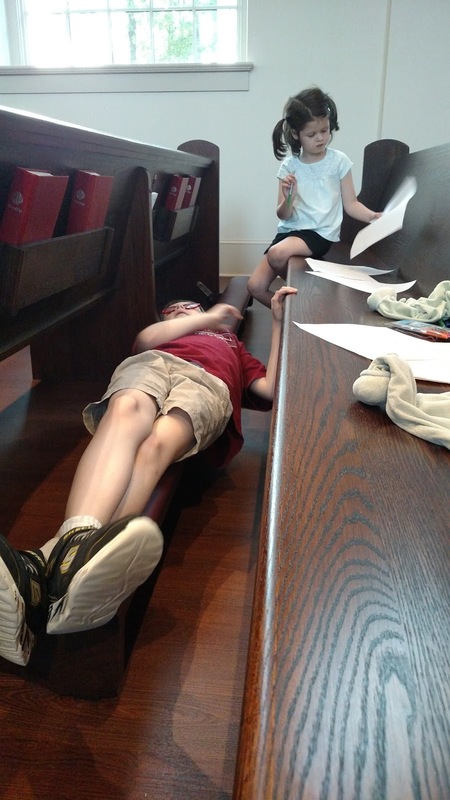 He came back to the pew and asked if he could do it every time. I asked him what it felt like and he said “soft”. I loved seeing Maundy Thursday through his eyes. This year feels different. I felt grief in my heart during the service. I am glad we aren’t perfect but we show up. We open our hearts and experience what the Holy Spirit has for us. I am okay with perfectly imperfect. No one can say that he/she is perfect or not. By the way the idea of perfectly imperfect is absolutely amazing. In this way you can carefully show your weakness and power in beautiful manner.